Bank of Sharjah has signed a USD 200 Million Club Term Loan Facility with a Group of Local and International Mandated Lead Arrangers: National Bank of Abu Dhabi PJSC (acting as facility Agent and Coordinator), Commercial Bank of Dubai PSC, Commerzbank Aktiengesellschaft, First Gulf Bank PJSC, and Wells Fargo Bank N.A. The two-year facility will be used by the Bank for its general corporate purposes, specifically for USD denominated transactions. The facility carries a margin of 1.25% per annum, with a reduction of 25 basis points compared to the pricing applied to the term loan signed in June 2011 by the Bank and fully repaid in August 2013. 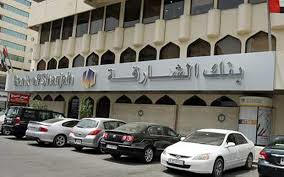 Bank of Sharjah was the first commercial bank established in the Emirate of Sharjah, and the biggest in term of Total Assets. It is primarily a corporate Bank operating through five UAE branches and a subsidiary Emirates Lebanon Bank in Lebanon. The Bank launched in 2012 a cooperation agreement with Commerzbank, Luxembourg to offer Private Banking and Wealth Management Services.